Sometimes, trying to find military discount sites that can provide you with coupons and other savings information on everything you need from the store can seem like a hassle. 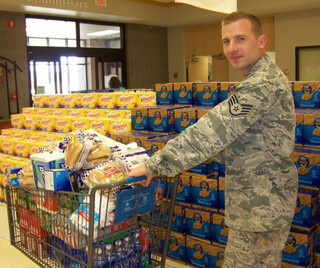 Instead of sifting through dozens of sites just to find a handful of discounts, you can just visit MyMilitarySavings.com, the premier one-stop shop for coupons and other deals that members of the Armed Forces can take advantage of at the exchange and commissary. Because we understand how difficult making time to find good deals can be, we’ve gathered together discount information from a variety of trusted sources to help you save time and money. We also provide convenient links to other sites for additional military discount information, including the Defense Commissary Agency (DeCA), where you can load digital coupons onto your Rewards Card, and the Exchanges of every branch of the Armed Forces. To learn more about what makes us stand out among military discount sites, enroll for your free MyMilitarySavings.com account today.